This high precision CNC Engineered metalwork, looks as good as it performs. 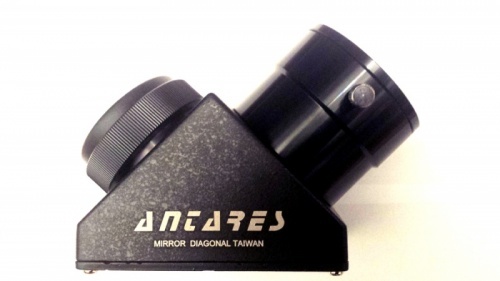 Available as either a 2" push fit for refractor telescopes or a low profile SCT fitting. This superb diagonal also comes complete with a brass compression ring for 2" eyepieces. The 2" eyepiece holder on this diagonal is threaded for the use of filters so you do not have to keep changing the filter when you change the eyepiece. High quality machined finish makes this diagonal look as good as it performs.